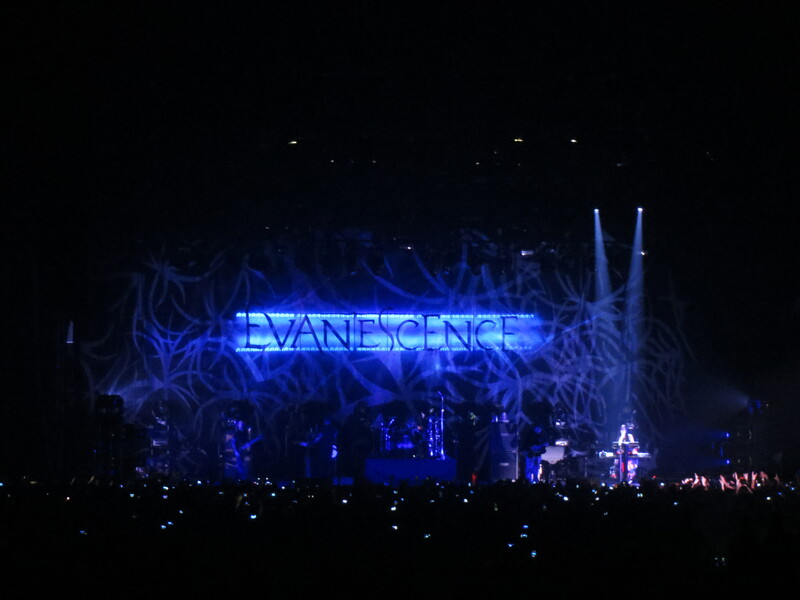 Yesterday I went to see Evanescence at the Wembley Arena, London. It was amazing. 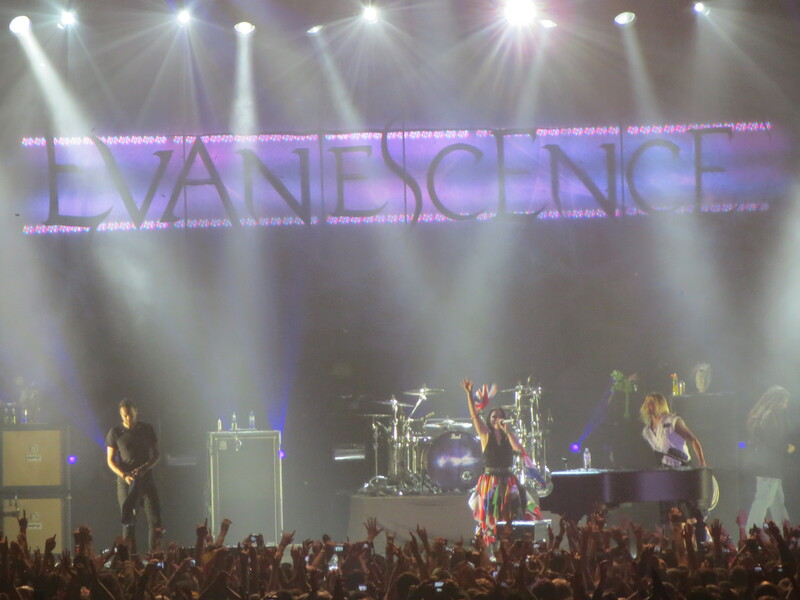 First of all it started off with the support acts, Lost Alone and The Used, but everyone was just waiting for Evanescence to come on. I took some pictures now and again, although they weren’t very good quality, as I was near the back and had to zoom in quite far. Lost alone started everything off, and I didn’t relly know of them (I don’t really listen to too much). They were quite alright. 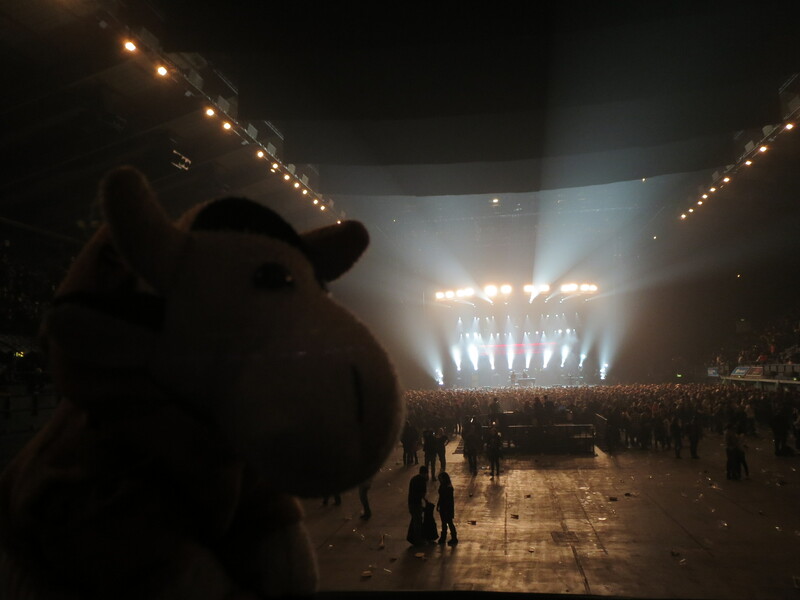 On came the next support act, The Used. As I’d known that they were going to be there, I’d looked them up beforehand and recognised most of the songs they performed. 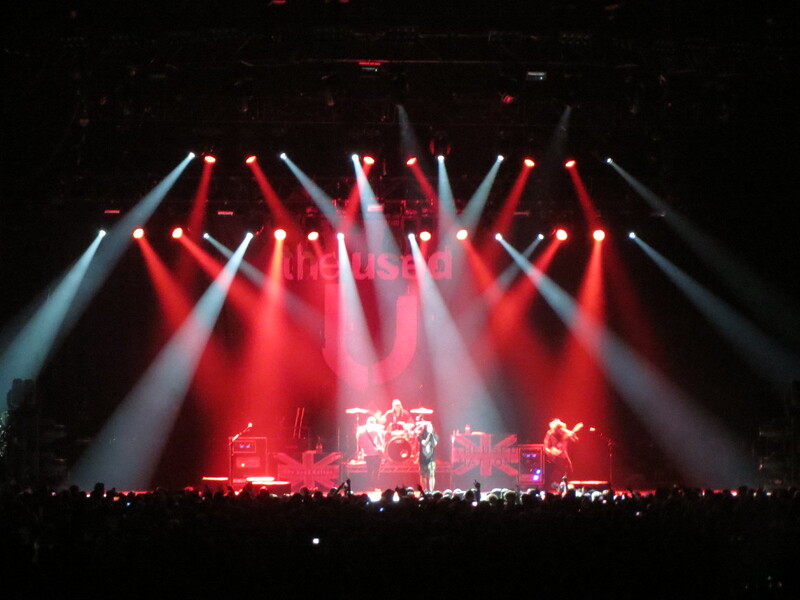 The Used weren’t bad, although I didn’t like all the swearing (call me old fashioned) but I really didn’t find it necessary. They left and then there was the anticipation for Evanescence to come on. 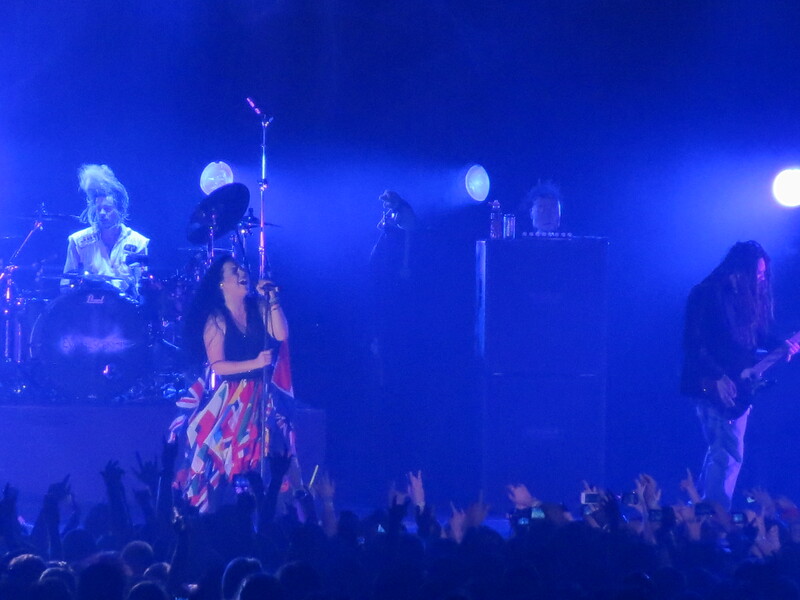 Then Evanescence came on the stage, with the song ‘What you want’ to start it off. AAAH! 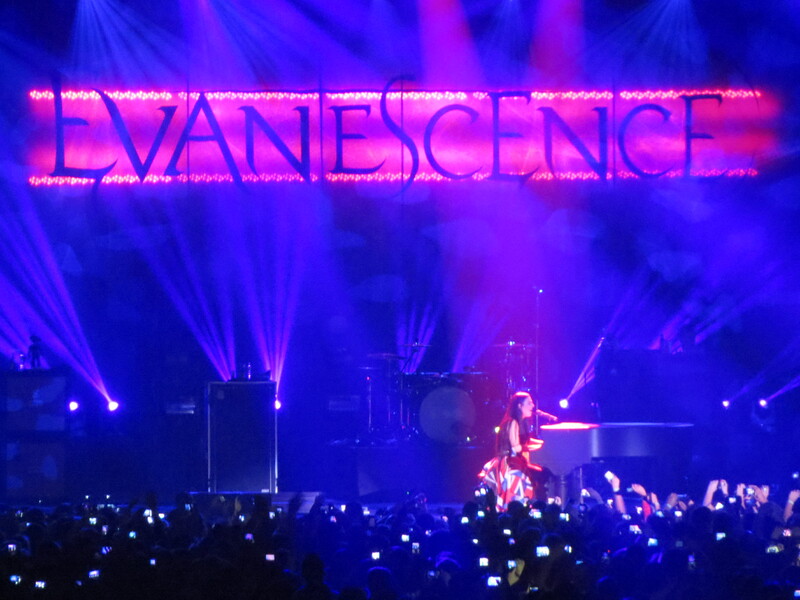 I love Evanescence, and when Amy plays the piano, and sings… Amazing. 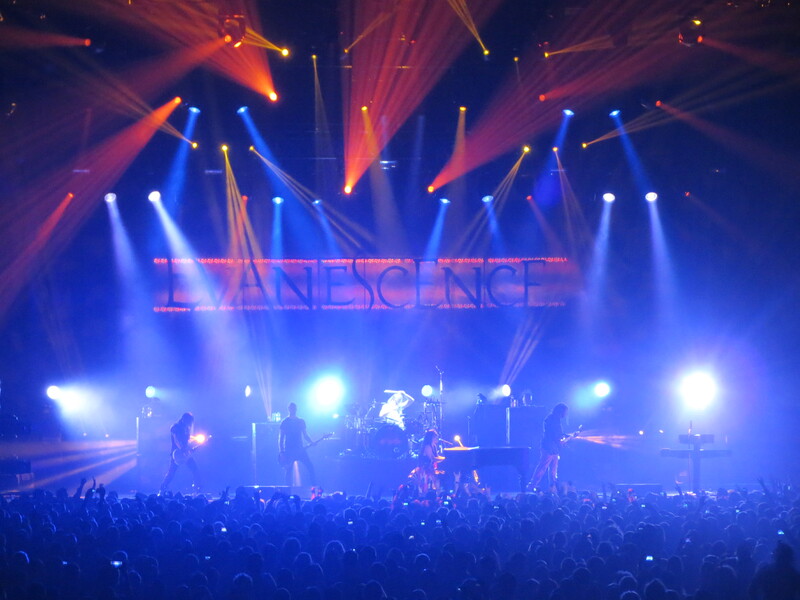 They added plenty of lighting on the stage during the performance, especially the Evanescence ones, so much that at points you couldn’t see the stage or were temporarily blinded… not good. Amy spoke to the audience and thanked lots of countries for travelling to be there. Doesn’t she have an awesome dress? 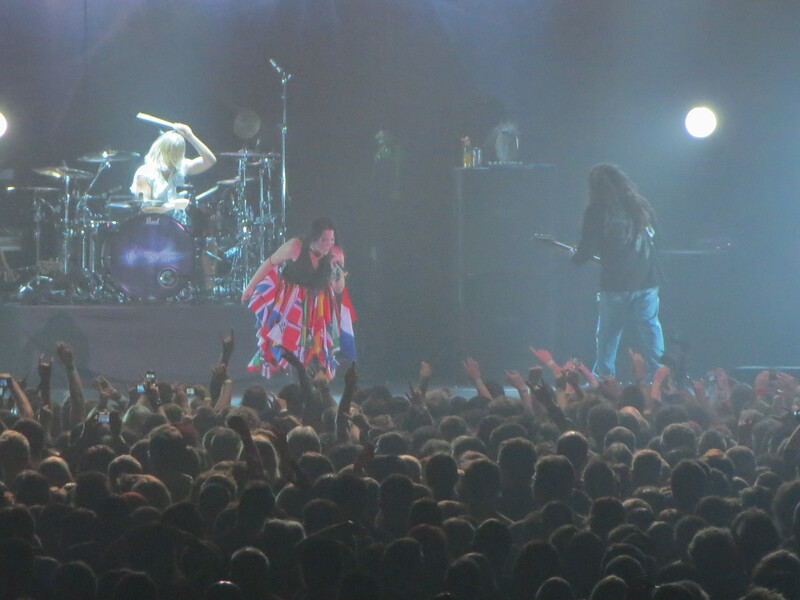 Throughout the songs, each band member put their all into it. They were epic. The lights that didn’t blind you were quite cool and I quite liked these lights. 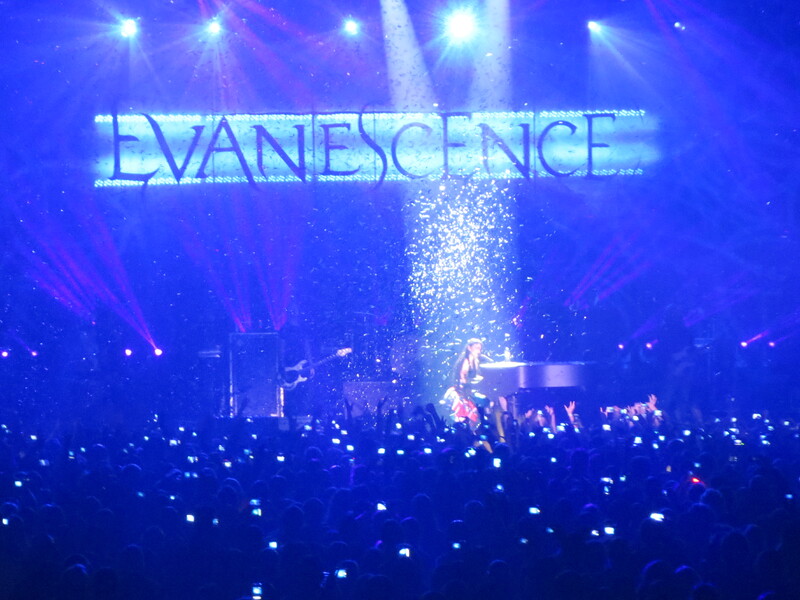 There is something so great and unique about Evanescence and that is why I am a fan. I still wonder how Amy managed to keep it all up, playing the piano and singing her songs, yet reaching the high notes. 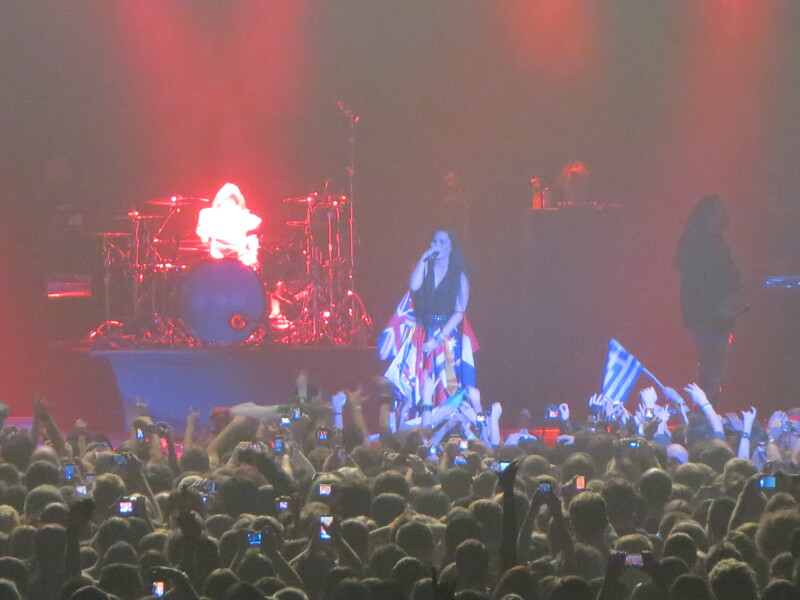 And then Evanescence finished with the song ‘My Immortal,’ encouraging the audience to join in. At the end, there was a lot of confetti. Now, who doesn’t love a bit of confetti? Finally, they said goodbye and there was a lot of cheering and clapping. 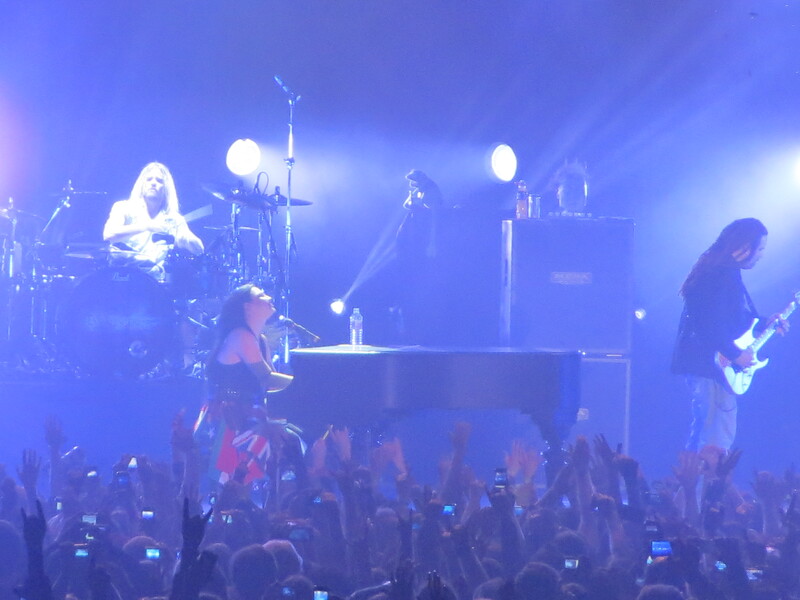 Then Evanescence left the stage. 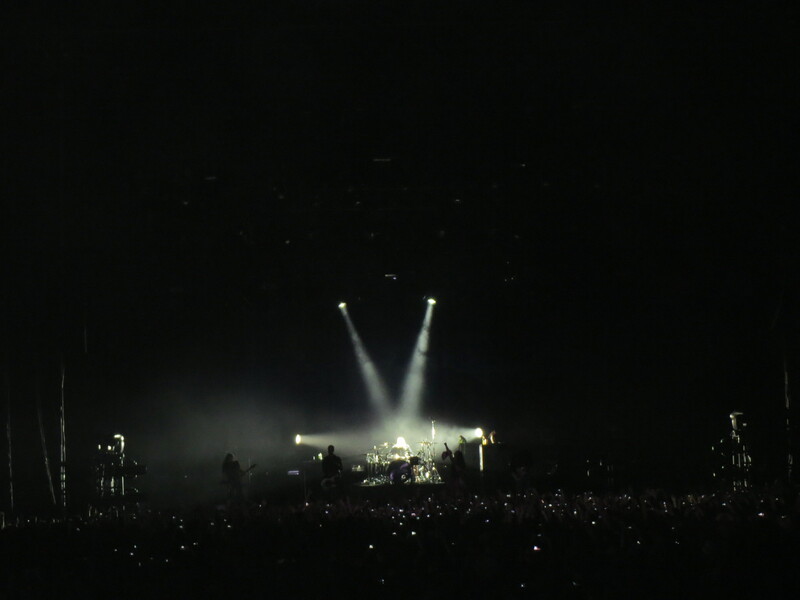 I watched as the stage was cleared away, wanting to hear more, but that was the end. 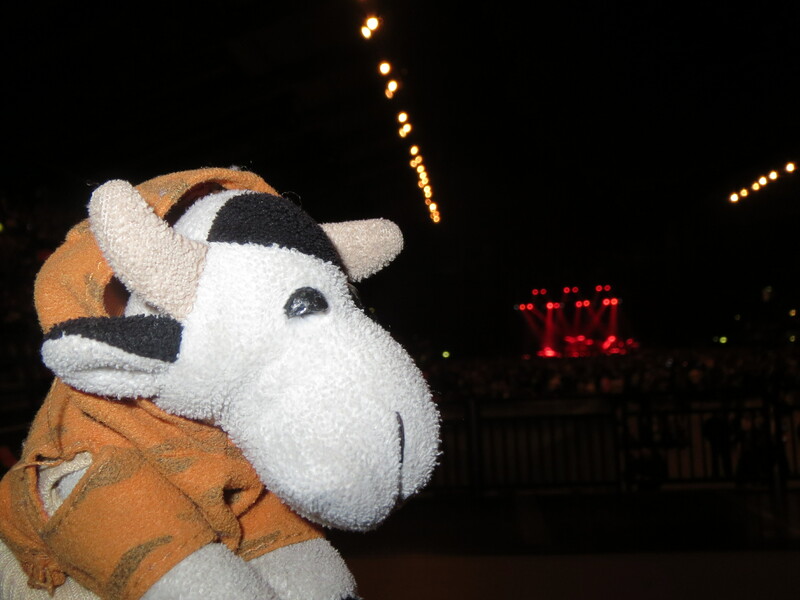 I thoroughly enjoyed myself there at Wembley Arena, and would love to see Evanescence again someday. 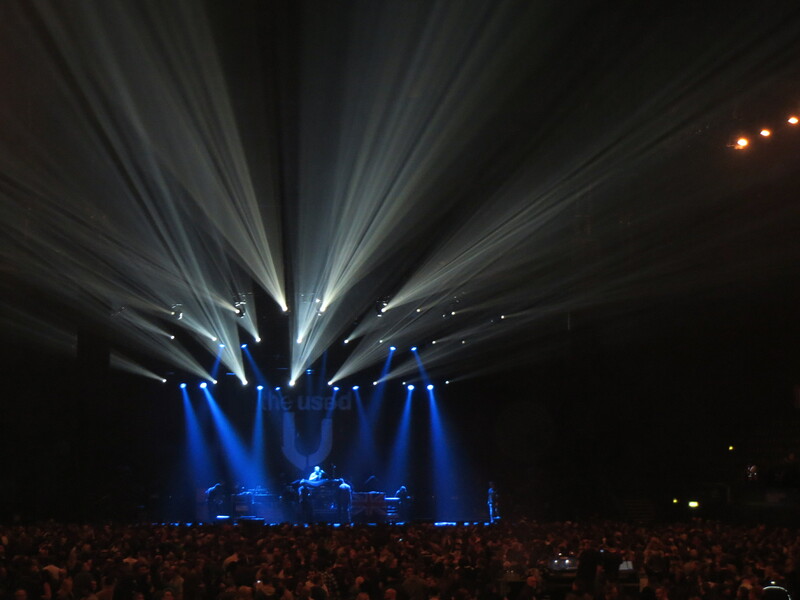 Hopefully they’ll do another UK tour at some point.